Knowledge Commons has supported, with certain reservations, the “proposals of a broad coalition of Brasilian civil society groups for reform of Internet Governance. Knowledge Commons has also supported and endorsed the submissions of the Coalition for a Just and Equitable Internet, a broad coalition of several dozen civil society actors from different global regions, concerned with Internet governance, human rights and social justice and the relationship between them. In total, 187 governments, technical experts, academics, individuals and businesses met the 8 March 2014 submission deadline. 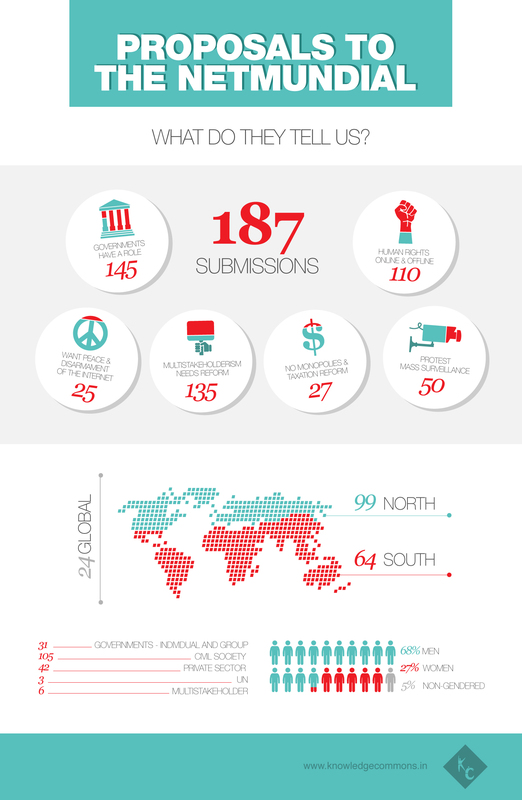 110 out of 187 submissions emphasized the importance of recognizing and protecting human rights online, particularly the rights to privacy, freedom of expression and association. 135 out of 187 submissions acknowledge problems with the multistakeholder model of Internet governance, with reform urgently needed to improve transparency in decision making and reporting and to establish clear operating procedures to ensure fair and equal representation, geographic and gender balance. 63 out of 187 submissions explicitly supported the call for the globalization of ICANN, currently linked to the US Department of Commerce and tied to California law. 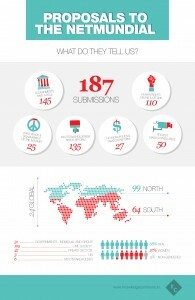 145 out of 187 submissions affirm the fact that governments have a public policy role to play in Internet governance in areas such as protecting the human rights of citizens, regulating costs of access and net neutrality, cybersecurity and the protection and stability of international telecommunication services.